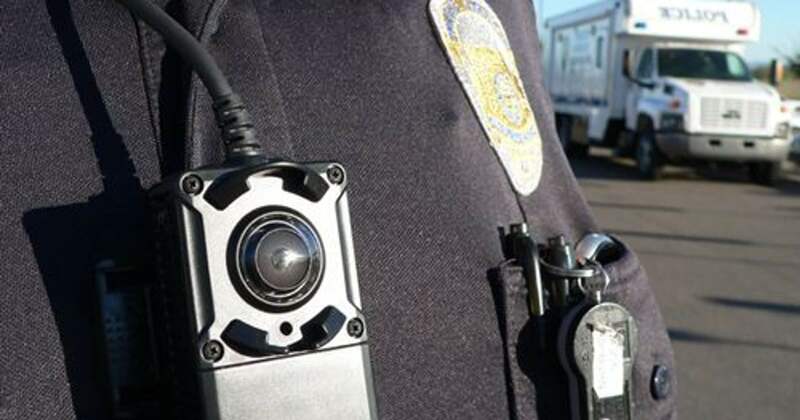 Glendale Police Releases Body-cam Footage Using Taser tactics that Prompted Federal Lawsuit. A body-cam video of Glendale Police officer shows two officers repeatedly using a Taser on a man in 2017 while his two frightened children watch. This incident prompted a federal lawsuit and suspension of one officer. As per the lawsuit and information provided by Glendale police, Johnny Wheatcroft, 39, was with his wife, Anya Chapman, 36, their two children, ages 6 and 11, and a family friend when two officers from Glendale Police approached them after a traffics stop on July 26, 2017. As per the video, the officers asked Wheatcroft, the front-seat passenger, to show them his driver’s license. He, however, declined to answer and questioned the officers why he needed to identify himself. In a released statement, Glendale Police said, Wheatcroft also was reaching under the seat for a backpack and officers asked him to stop. Officers after that threatened to use a Taser if Wheatcroft did not exit the vehicle, the video shows. From that moment, the situation escalated, and the officers pulled him from the vehicle while his seat belt still was latched. In the released video, Wheatcroft can be heard saying, “I’m not doing anything, ‘‘repeatedly. As he was moved out of the vehicle, police begin using the Tasers, doing so repeatedly as the man is pulled from the vehicle and then onto the ground as his children can be heard screaming in the background. The newly released police body-camera footage has been distributed on Friday by an attorney for the couple. However, the incident led to a federal lawsuit filed in November 2018, which claims police used excessive force and violated Wheatcroft’s civil rights. It contends Wheatcroft and his family suffered from trauma and physical and emotional damages. Glendale police said in a statement, after the traffic stop, the officer discovered the driver, who was the family friend, did not have a license and observed a seat-belt violation in the vehicle as well. As per Police, Wheatcroft “exhibited verbal non-compliance by refusing to identify himself and failed to obey the officer’s instructions,” when he reached into a backpack despite officers telling him to stop. Police said Chapman swung a bag filled with bottled drinks at Officer Lindsey, knocking him unconscious, and causing Schneider to continue deploying the Taser as he called for backup. Police, however, had released a surveillance-camera video of the incident that shows part of the confrontation from a distance despite having the footage from body-cam. The lawsuit also alleges that Police officers Tased him multiple times in the back and on the chest putting him on the hot asphalt. As per both the Police and the lawsuit, a technique known as a “drive stun” in which the Taser, generally fired from a distance, is pressed against a person, also was used. As a group of officers tried to remove the Taser prongs, Wheatcroft started to shout, and officer Schneider placed his Taser on his private parts and threatened to Tase again if he resists or screams again. Police said, Wheatcroft later calmed down, and he along with Chapman was arrested. Both of them were initially charged with aggravated assault and physically resisting arrest. The charges against Wheatcroft were dismissed later on, and Chapman pleaded guilty to a reduced count, as per Maricopa County Superior Court records. The lawsuit does not specify any amount as damage compensation, and it names the city of Glendale, Schneider, Lindsey and a third officer, Michael Fernandez, as defendants. As per Glendale Police, after the incident, Schneider was suspended for three days. Wheatcroft is currently serving his terms in prison on an unrelated burglary charge.